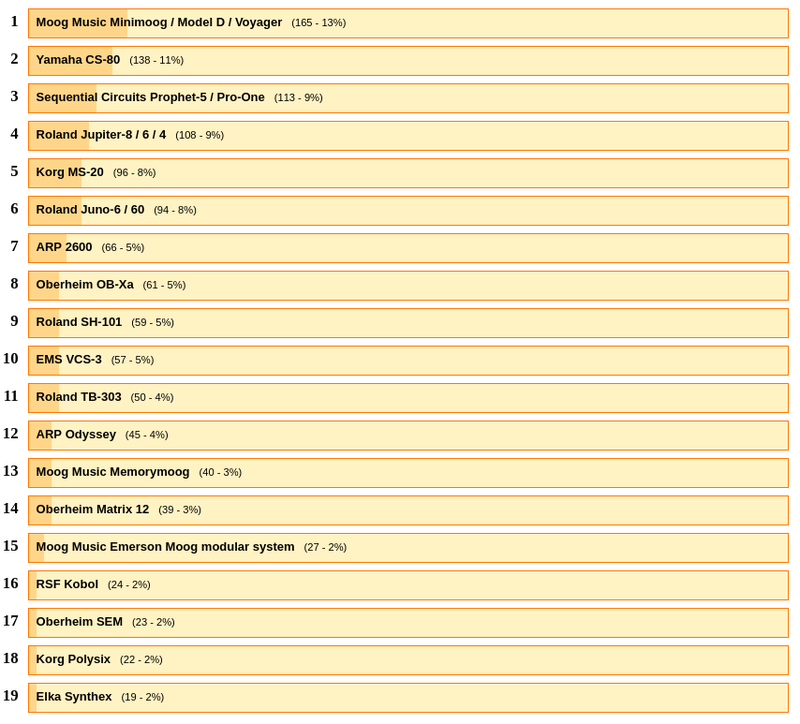 Similarly to what we did with DAWs, electric guitars and basses, the question we asked our French AF community was: Which is you favorite analog synth? The first place goes to the legendary Robert Moog and his no less legendary Minimoog, Model D and Voyager synths. The first one, sold between 1970 and 1981, is certainly the most mythical of them all. But in 2002, Robert Moog decided to revamp it and introduced the Minimoog Voyager. And in May 2016, during the Moogfest, Moog announced the relaunch of of his famous Model D as a limited series. 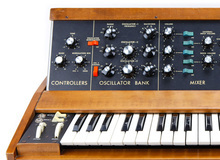 The Minimoog was conceived with pop/rock musicians in mind, with a more compact design and without patch cables to make it easier to use live, for instance. Among its most famous users are Keith Emerson (ELP), David Borden and Ralf Hutter (Kraftwerk). P.S: Merry Christmas to those of you who celebrate it!